The plants are also a nice sign for a tropical atmosphere. Very nice. That cactus looks like one should keep their distance from it. Not only does the flora have sharp spikes, but the fauna bites and is poisonous. 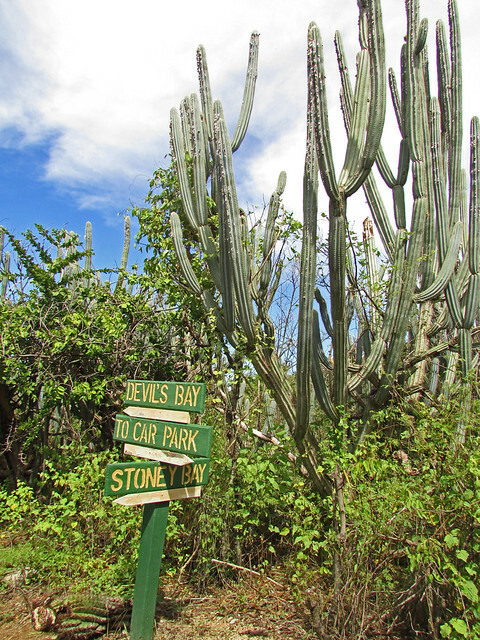 between a rock (stony bay) and a hard place (devils bay)! ...the cactus caught my eye! And no sign pointing to ‘big giant cactus!